The source supplies for many of the major watersheds in the province are located within the public forest, remote from human settlement and development. Here the major threats to the health of watersheds are related to forest management – from the extent of clearcutting and biomass removal to the replacement of complex forest ecosystems with simple plantations lacking coarse woody debris and other structural features critical to mediating the flow of water. Forest management policies that restore and protect watersheds throughout the province using proper hydrological, ecological and socio-economic objectives are urgently needed. According to the government of New Brunswick, about 40% of the province’s population obtains their water supply from surface watersheds. Despite the fact that New Brunswick’s Acadian forest plays an integral role in protecting these fresh water resources, the current forest management regime is silent on achieving watershed management objectives, other than maintaining small riparian buffers between clearcuts and watercourses. The loss of forest cover due to clearcutting and conversion to plantations has degraded the province’s biologically-diverse and life-supporting fresh water ecosystems. In the past 20 years, close to 40% of New Brunswick’s public lands have been clearcut, with 10% of the land scarified and sprayed for plantations of one or a few species. The type, size and location of cutting have not included planning with water source protection in mind. While buffer zones are required to be left along streams, rivers and wetlands, some logging is permitted in these areas and they are under increasing pressure to be released for harvesting. Responsibility for watershed management on private lands rests with the Department of Environment, as does the management of watercourse alterations, and point and non-point sources of pollution. The Department of Natural Resources has responsibility for forest management on public lands, including watershed management. This fragmented approach to watershed management has contributed to the current problem. Some of these issues are being addressed lower in the watersheds as a result of the work of local watershed groups and the programs of the Department of Environment. It remains a blind spot in the Department of Natural Resources and in the goals and objectives that must be met by forest management plans. New Brunswick needs a provincial water strategy. This strategy would represent an integrated approach to sustainable water management and outline specific strategies and actions to address the province’s current and projected water issues. An essential component of such a provincial strategy is recognizing the role healthy forests play in protecting freshwater. 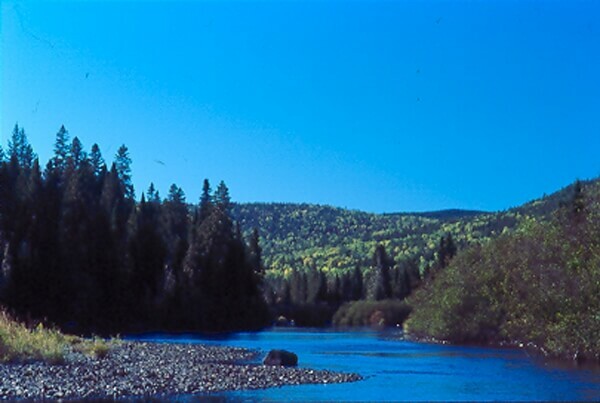 Watersheds should be used as the forest management unit on Crown Lands and limits placed on the amount of forest to be harvested within a watershed in a given time frame. This would facilitate moving to an integrated watershed management approach as part of the provincial water strategy. More specifically, the ephemeral and intermittent streams that form the headwaters of New Brunswick’s major rivers must be extensively mapped and protected from degradation. Wherever possible, buffer zones on rivers and lakes should extend beyond the floodplain, so that the floodplain soils and vegetation remain undisturbed. Buffer zones on rivers and lakes should include a no-harvest zone. It is also critical, especially on steep slopes, that buffers be measured from the top of the slope rather than from the streambank. Vernal pools must also be protected. Vernal pools are temporary pools of water, mostly located on forested lands that are used almost exclusively by certain amphibian and insect species for breeding and other activities. New Brunswick is lagging behind other jurisdictions (like the state of Maine) in vernal pool protection. New Brunswick could follow other jurisdictions and develop a program to identify, map, and protect vernal pools. 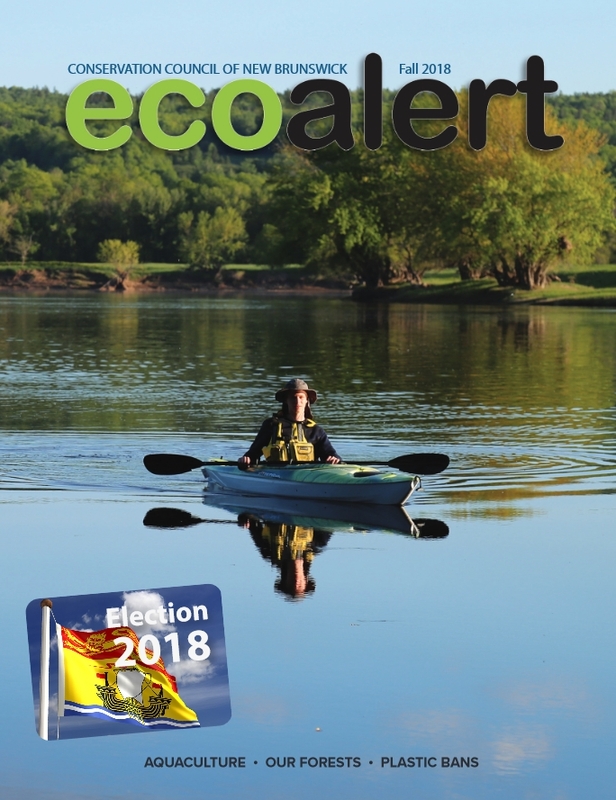 CCNB’s report on at-risk watersheds in New Brunswick.